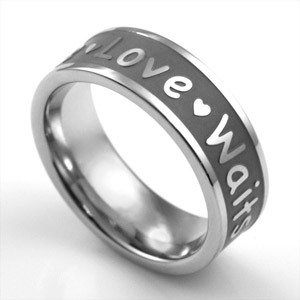 Steel True Love Waits ring - a commitment to abstinence until marriage. Inscribe a name, verse, or message by engraving the inside of this stainless steel ring. Present in a gift box to add that extra special touch. Available in sizes 5, 6, 10, 11, & 12.